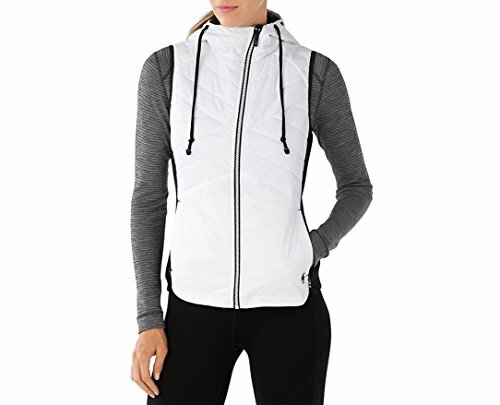 Backed by the power of Merino, this feature-packed vest includes everything but sleeves. We put lightweight SmartLoft insulation on the front, back and hood for temperature regulation and moisture management then added DWR treated, wind-resistant polyester panels to fend off whatever weather comes your way. Mid 250 baselayer fabric adds breathability to the side panels. A slight asymmetrical zipper adds comfort and style. Machine Wash Cold Gentle Cycle. Do Not Bleach. Tumble Dry Low. Iron Low. Dry Clean. If you have any questions about this product by SmartWool, contact us by completing and submitting the form below. If you are looking for a specif part number, please include it with your message.